A freshly home baked natural yeast loaf, it smell so fresh and good ! 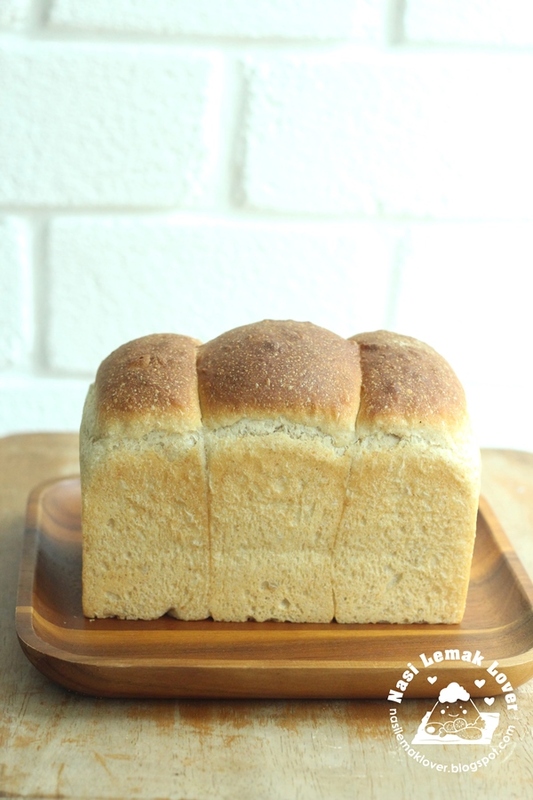 Baking soft loaf with natural yeast, just like normal bread making method, add butter at last stage. 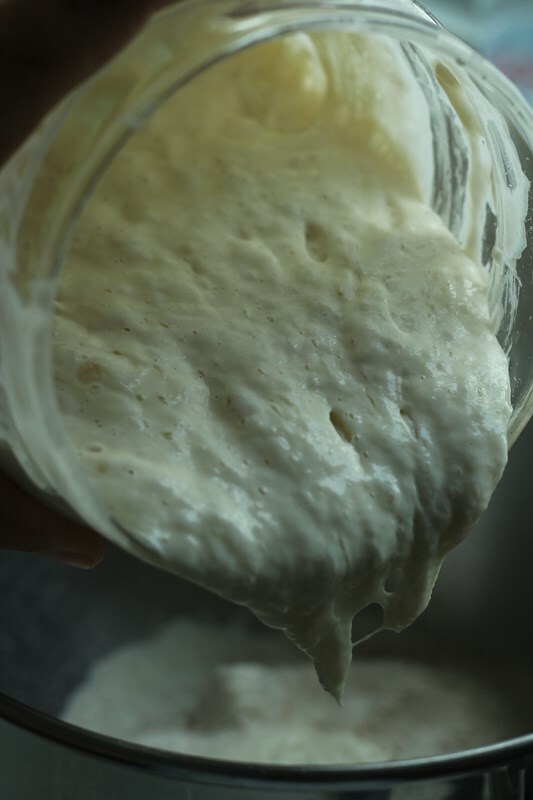 Bring out sourdough starter from the fridge. 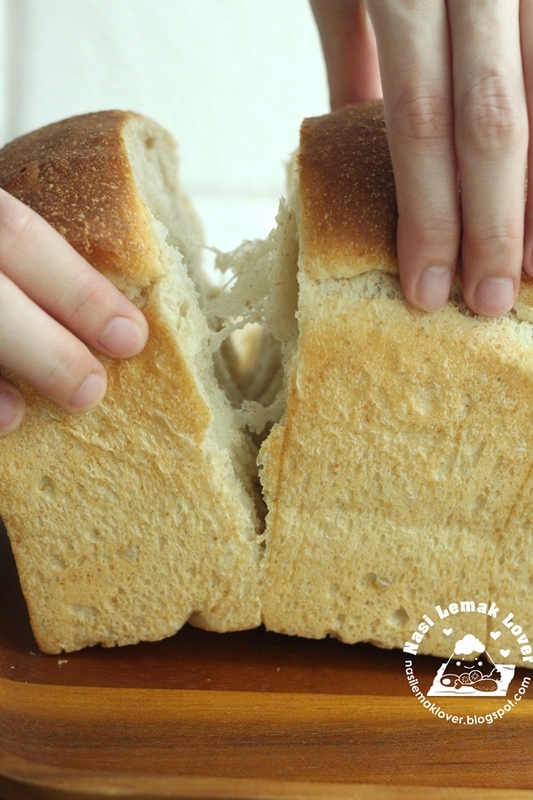 Feed it with 20g bread flour and 20g water ( if you have less starter, you can feed more) or without feeding it if your starter is active -use it very often (usually I follow this method). Allow to peak, take less than 2hrs. You may perform a float test. Drop a small spoon of starter into water, if its float, that means you may start to use the starter. 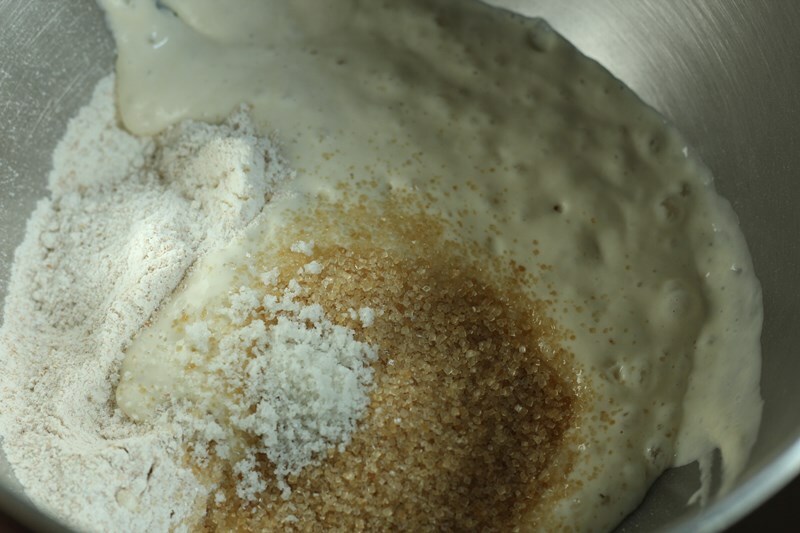 In a stand mixer, add in all ingredients except butter, mix and knead till smooth. Slowly add in liquid (milk) and adjust the amount accordingly as your starter might have difference % of hydration and difference brand of flour also has difference moisture. 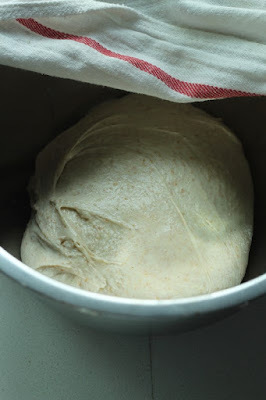 Add in butter, knead till elastic and shining dough. Cover and set aside to proof till double in size (~2hrs). Punch down the dough to expel air. 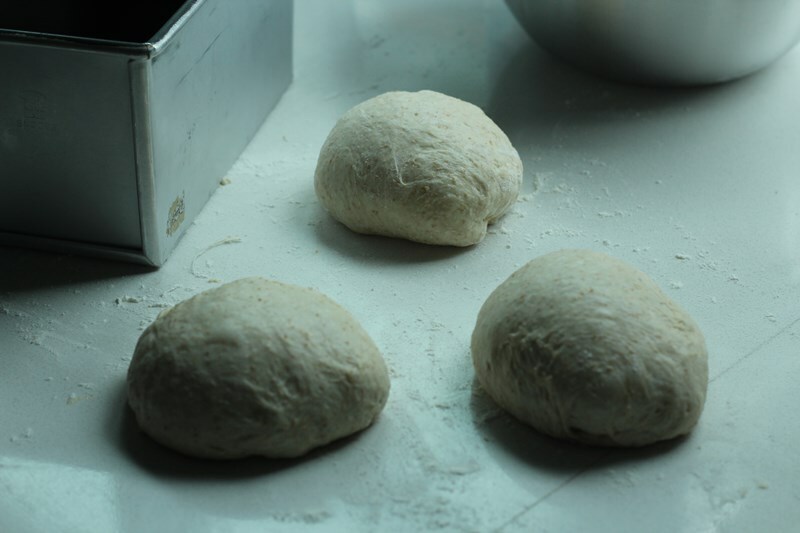 Equally divide dough into 3 equal balls, then allow to rest for another 10 minutes. 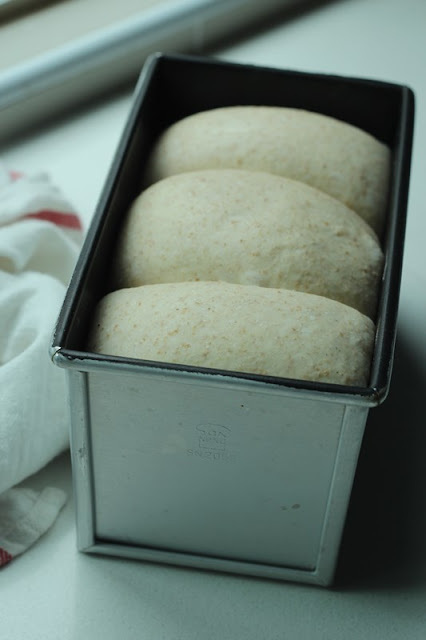 Flatten the dough into a rectangle shape and roll it up or just roll into balls, then place it in the Pullman tin. Final proofing till about 90% full ( ~3hrs). Bake in a preheated oven at 190C for 35mins. Loosely cover the top with foil when it is browning (~15mins) , reduce to 170C (fan forced) and bake for another 5mins. Removed loaf from the oven, immediately remove bread from the tin. Cool on wire rack before slicing. 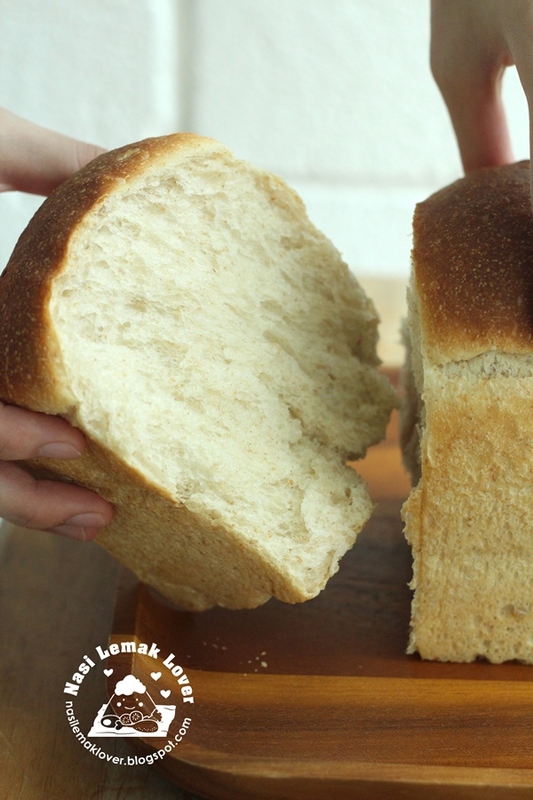 Sourdough bread loaf *sigh* Maybe someday lol Saw a cheap proofing basket last time and thought of your gorgeous sourdough bread :D Will pin your sourdough breads , okay ?! That's wonderful! 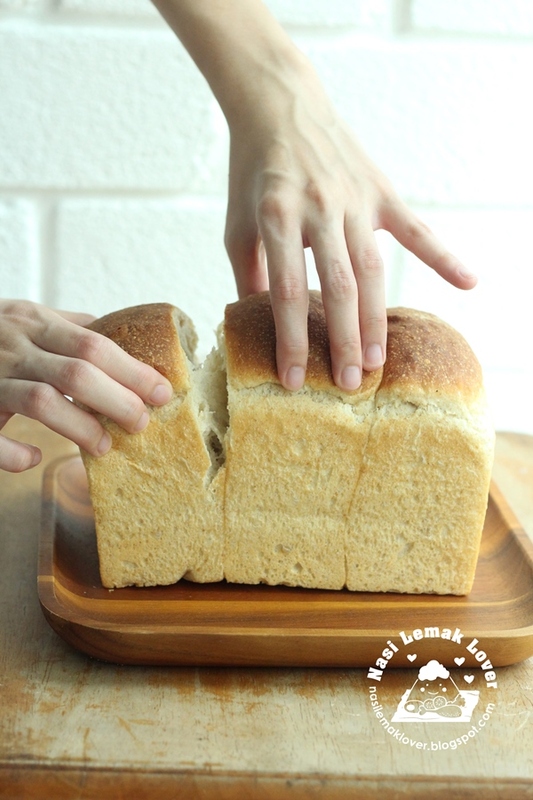 I would love that bread. Hi Sonia, just stopping by to let you know that I decided to toss my yeast away! (Sad face), after I took it out from the fridge, it didn't raise at all even I feed and tried to activate it, it stays slightly under the mark for about 4-5 days, I don't think it looks good to eat so I decided to dump it, however, thanks for taking me through every steps, I probably will try it one more time when I free up sometime after Thanksgiving, thanks a lot! Sonia, another beautiful bake from your wild yeast. Congrats ! Wish I can bake more often. Enjoy your week ahead dear. Kirsty, so sad to hear this news, anyway, it is just flour and water, don't give up, try again! Hopefully to hear your good news soon. cheers! 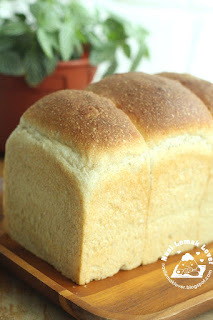 I am new in bread making, can I use a bread maker to make sourdough bread? 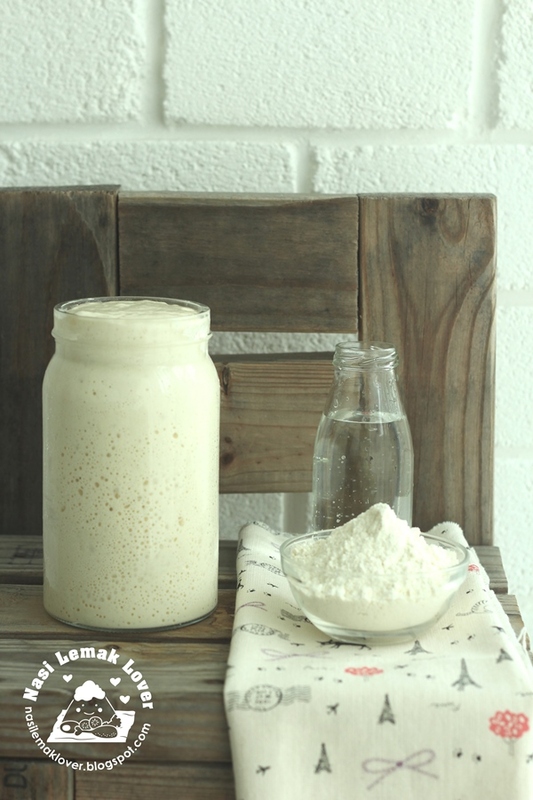 If i dun have natural yeast, i can use instant yeast? How much? I tried this recipe today. The texture turned out well but has sour taste. Do you have any clue? 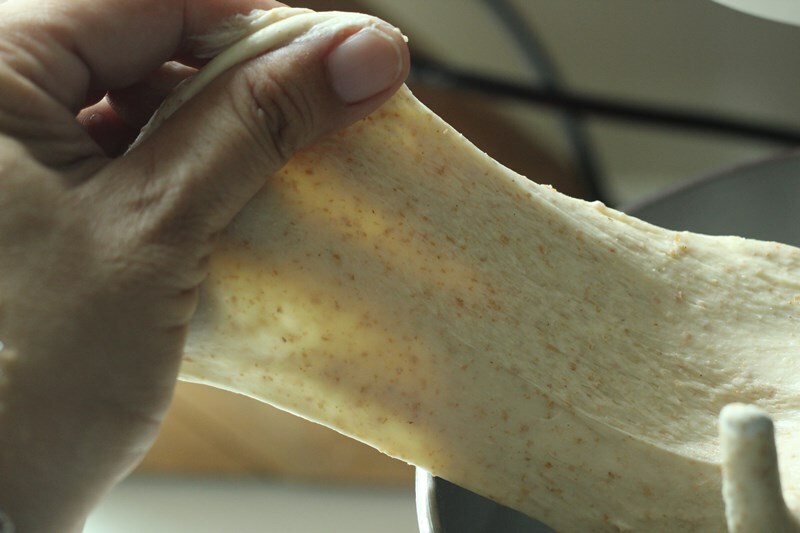 Pui Mun, you did not use your starter often ? 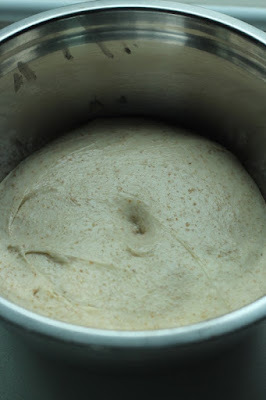 If not, you have to discard some then feed with flour and water to refresh the starter.